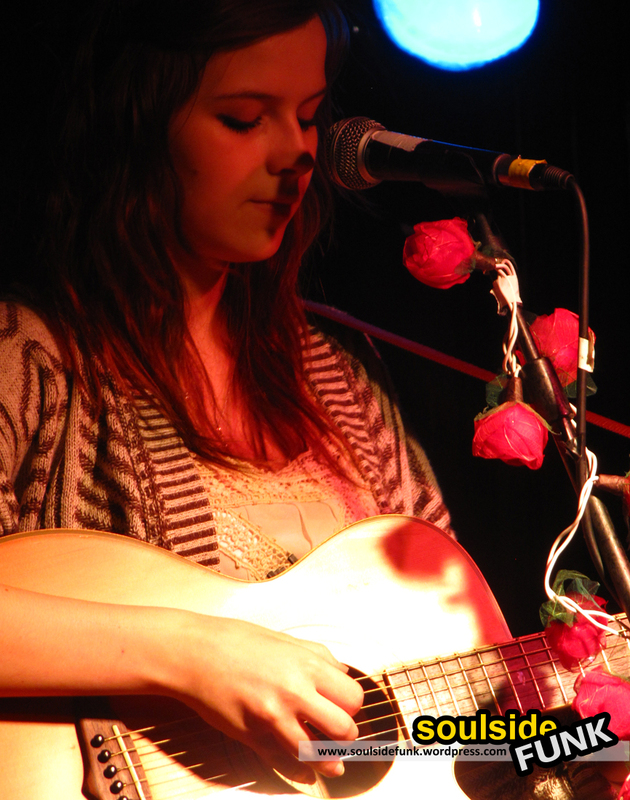 On Wednesday night Gabrielle Aplin played the Islington Academy as part of her first UK tour. Gabby has been gathering quite an online following lately. Her YouTube channel has more than 2.5 million video plays, and over 15,000 subscribers (that’s more subscribers than Eliza Doolittle, Tinchy Stryder and Mr Hudson combined); no mean feat for a 16 year old who only released her 1st EP last Monday. The tour, to celebrate and promote the EP, was everything I was expecting; friendly and warm with a childlike shyness. Standing on stage behind a microphone wrapped in roses, her small frame poking through a crowd of angsty teenagers, this adorable little thing started sing and you can understand why she has been getting the attention. 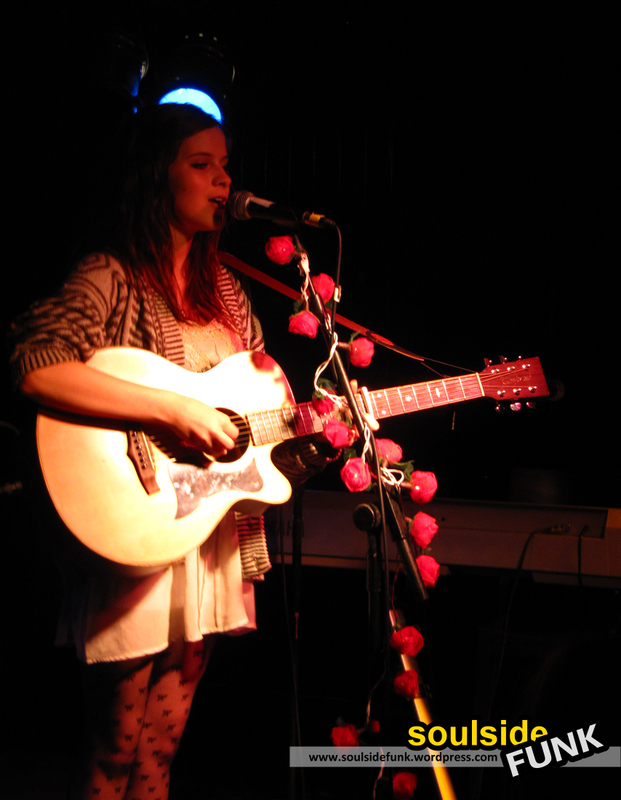 Her set was diverse, mixing her own songs, covers and other peoples songs she has “re-written”. From a melancholy cover of Black and Gold to the demanded phone waving during Reverse, Gabrielle managed to captivate with her charming personality (wish all teens were so cute). 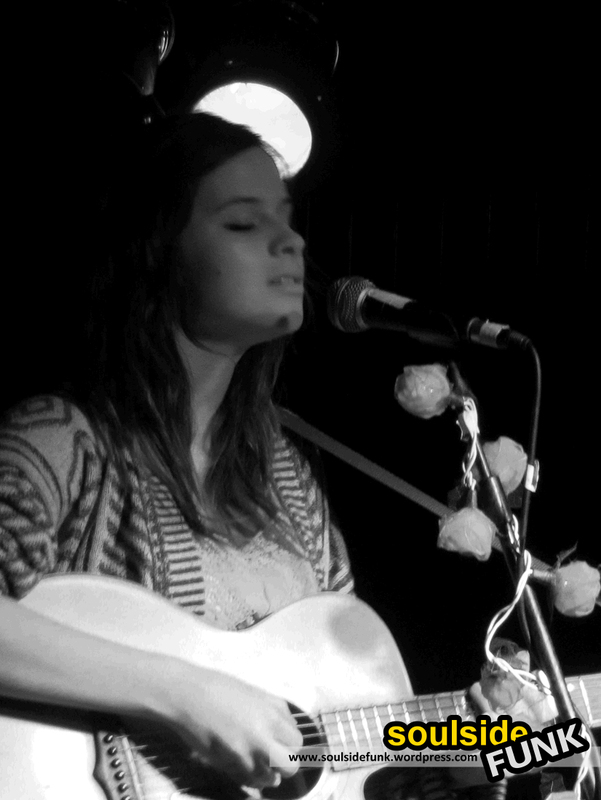 Gabrielle is still developing her talent and at times her soft voice struggled to overcome the chatter at the back of small venue. 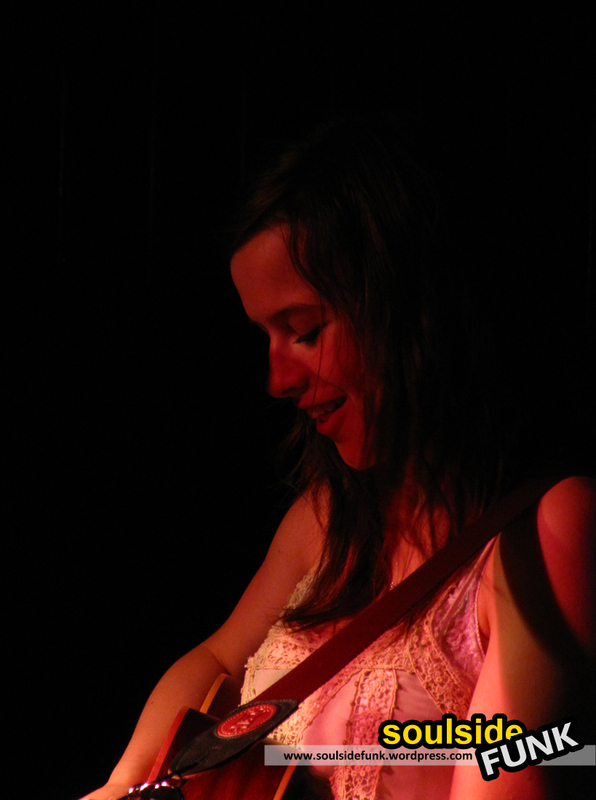 Those listening though were treated to a subtle yet tender voice which seemed to cuddle the guitar as she sang. The short set also included a piano based cover of Use Somebody, her voice extorting every ounce of emotion possible from the Kings of Leon record. Ms. Aplin is definitely one for the future and one to keep an eye on. As her voice gets stronger and develops more uniqueness she will defo have the potential to silence any venue she plays in. I wish her all the best – and will be keeping a close eye myself. 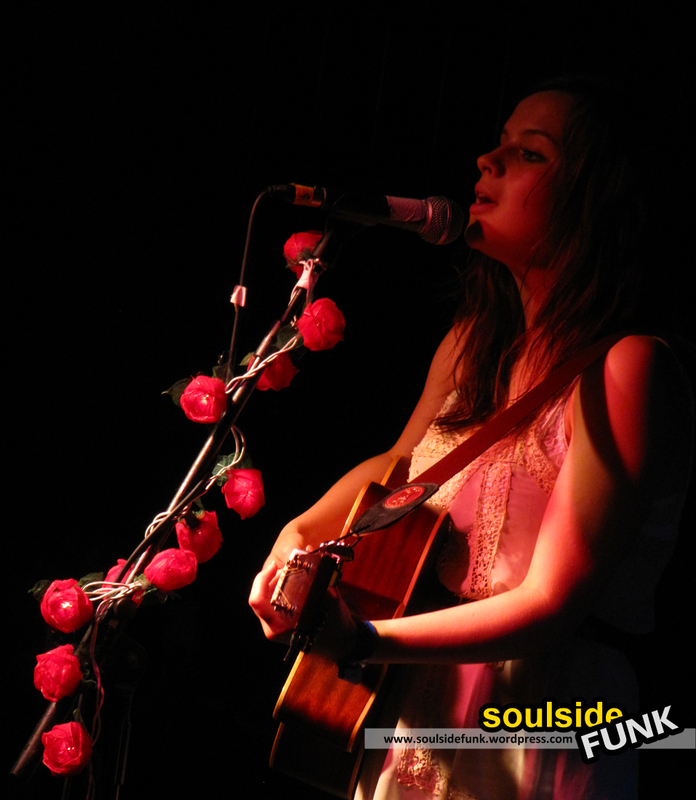 Posted in Gig Photos, Gig ReviewsTagged Angel, Concert, cover songs, Folk, Gaberrz, Gabrielle Aplin, Gig, Islington Academy, London, Music, TourBookmark the permalink.